More than 70 million adults in the United States have high cholesterol. When your cholesterol numbers are high, your risk of developing heart disease doubles. 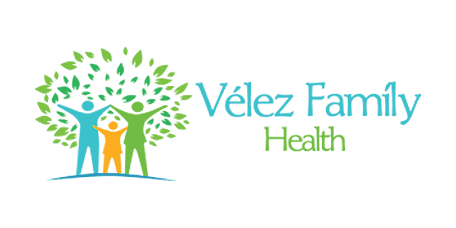 If you're concerned about cholesterol, Dr. Tania E. Velez at Velez Family Health in the Doctor Phillips area of Orlando, Florida, takes a holistic approach to medicine and can help you understand and improve upon your numbers using a natural approach. Call the office or book an appointment online for an evaluation. Cholesterol is a waxy substance found in fat. Your body makes its own cholesterol, and you take in more from the food you eat. Cholesterol is used to help make cells, but when your body has too much cholesterol, the waxy substance sticks to your artery walls, causing them to narrow and making it harder for blood to pass, which can lead to a heart attack or stroke. Dr. Velez orders a blood test to check your cholesterol level. High cholesterol is determined by your total cholesterol number from your blood test. The total cholesterol count includes two types of cholesterol: low-density lipoproteins (LDL), referred to as bad cholesterol, and high-density lipoproteins (HDL), referred to as good cholesterol. In addition to your total cholesterol, Dr. Velez also wants you to pay attention to your LDL and HDL numbers. As a holistic practitioner, Dr. Velez recommends a change in diet and activity as your first steps to lowering your cholesterol. She creates a plan that fits your lifestyle and fitness level. A healthy diet and exercise plan may also promote weight loss, which helps reduce cholesterol. What steps can I take to prevent high cholesterol? If you have concerns about your cholesterol and would like to get your numbers checked, call the office or book an appointment online.